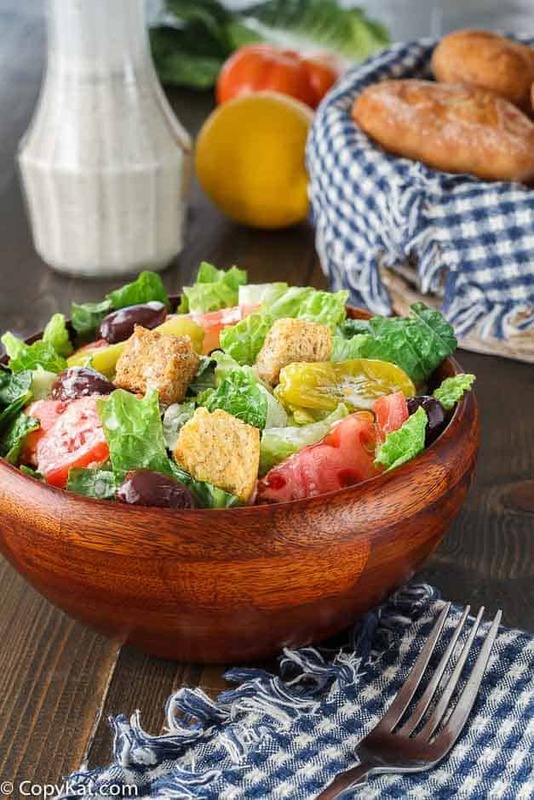 Recreate the Olive Garden Salad dressing at home. Combine all the ingredients in a blender until well mixed. If this is a little too tart for your own personal taste, add a little extra sugar. 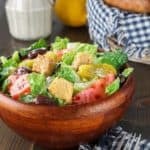 You can enjoy your Olive Garden salad dressing for up to 10 days if you store it in an airtight container in the refrigerator. Additional Notes Another great use for the Olive Garden salad dressing is as a marinade for vegetables or even meats that you might like to grill. So you can see the Olive Garden salad dressing can be used in more than one way.